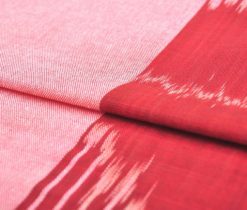 Today, the textile industry produces various types of fabric from natural, artificial and synthetic fibers. 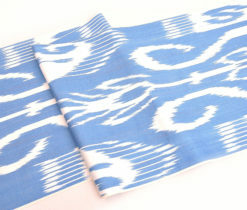 Among them there is a great demand for sewing different products from cotton ikat fabrics. 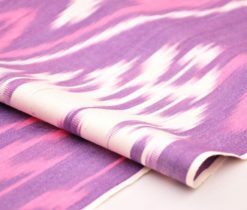 It refers to the natural type of tissue, and its production is carried out on the basis of plant fibers. 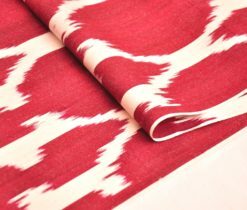 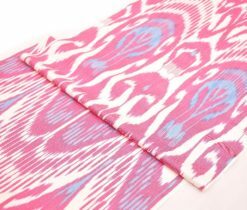 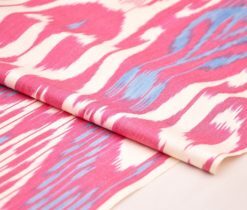 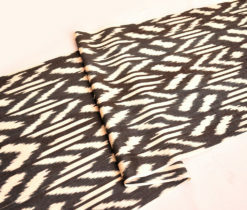 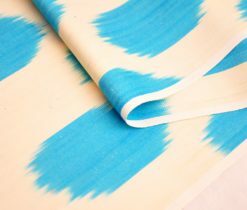 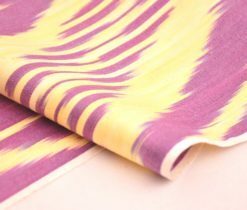 Our Ikat fabric by the yard has different types of fabrics included, for example, velvet ikat fabrics, cotton ikat fabrics, silk gauze fabric and others. 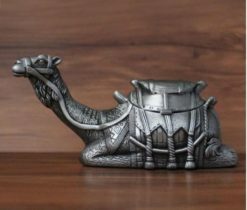 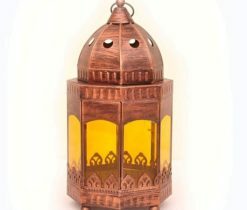 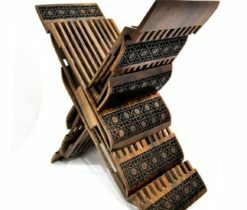 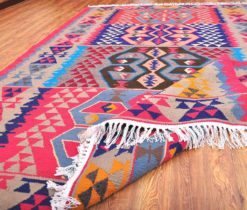 Eastern style is a riot of colors and intricate patterns, it is mysterious and enigmatic. 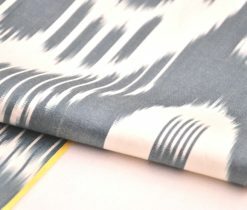 With the help of individual decor elements made of cotton ikat fabrics by the yard, you can create an ideal place to relax from the daily hustle and bustle of everyday life. 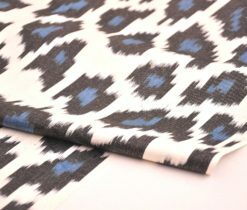 Cotton fabric is the most popular kind of fabric for sewing comfortable to wear products. 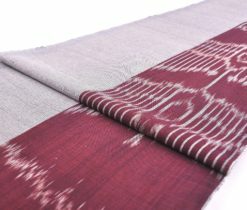 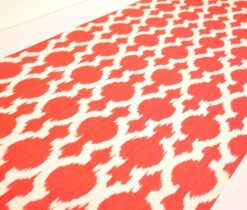 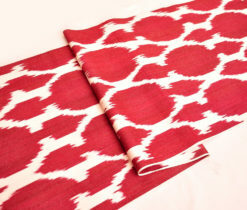 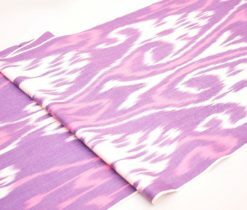 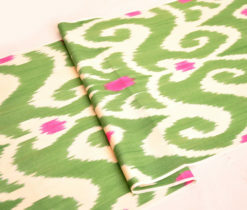 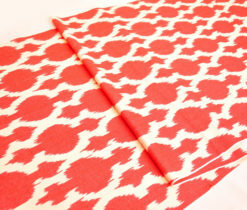 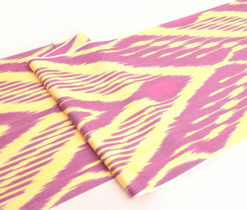 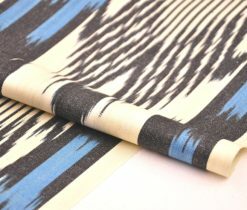 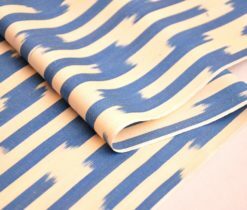 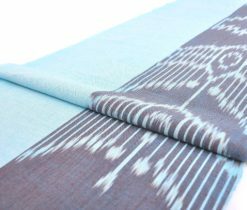 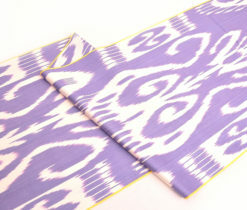 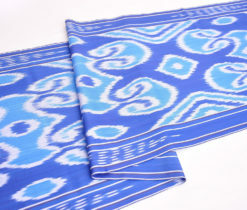 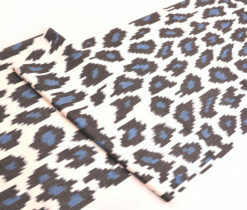 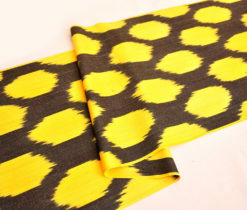 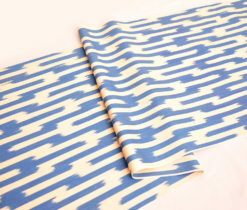 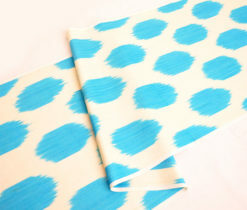 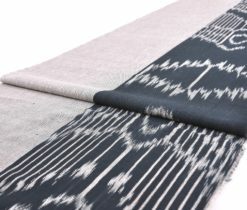 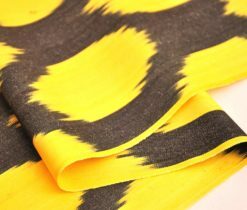 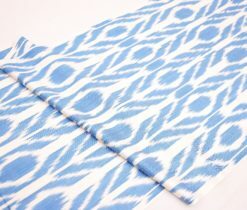 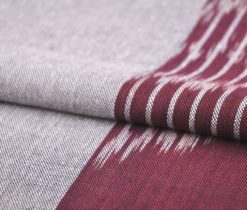 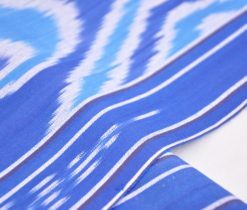 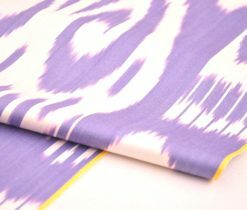 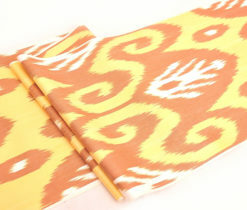 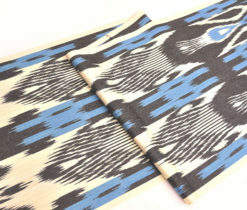 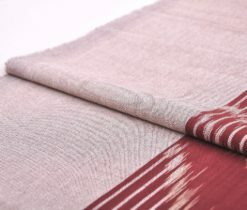 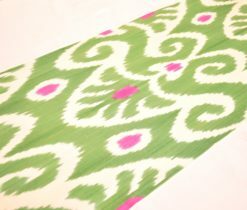 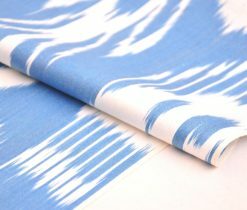 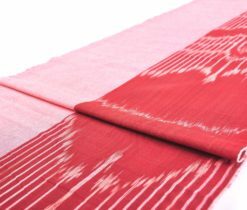 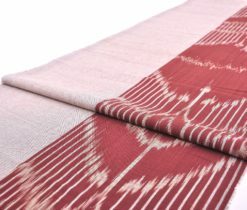 At the same time, Cotton ikat fabric has a wide field of application. 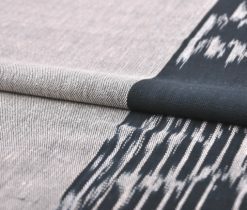 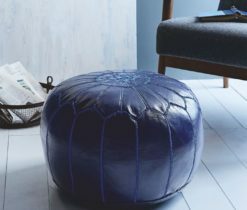 The presented fabric is very much in demand in the field of sewing linen, children's and adult clothes, upholstering furniture products, sewing curtains and decorative pillows. 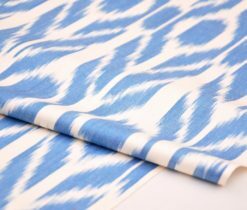 There are many varieties of cotton ikat fabrics that differ in the type of weave, surface, density, and so on. 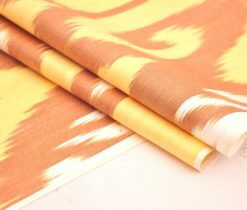 But they all have common characteristics: strength, hygroscopicity, excellent air permeability, resistance to stretching and other types of deformation, wear resistance, hypoallergenic and affordable cost. 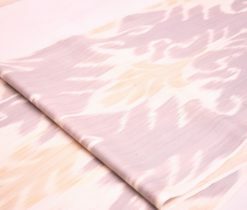 The main accent of the interior - oriental pillows, which are so beautiful, embroidered with colorful silk, they are laid out not only on the sofas and armchairs, but also on the floor. 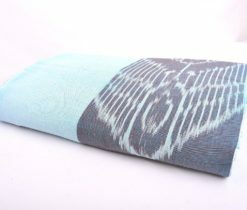 Sitting on a large pillow, as on a throne, you will feel yourself like a Shamakhan queen, who has lain down to rest from the king's cares. 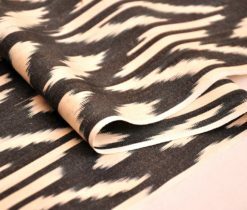 So, here you can find pillows and upholstery for sofas and other furniture made of cotton ikat fabric by the yard and take a pleasure from each moment of using it in your daily life. 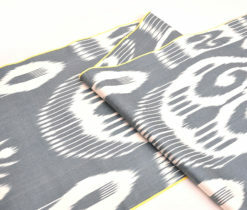 Visiting our store you can order and buy eastern pillows and pillowcases for them, upholstering for your furniture and other goods in cotton ikat fabric for sale. 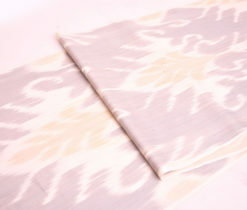 Unique cushions made of handmade Ikat give an unrepeatable and elegant atmosphere for your interior.